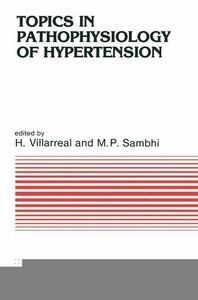 It is not often that one one writes the foreword for a book based on a conference which contributed so much to our knowledge in the field of hypertension. During my close association with the International Society of Hypertension from 1978-1982, numerous satellite symposia were held in connection with five interna tional meetings. The specific topics addressed in this volume, the quality of the contributions, and the superb expertise of the contributors make this monograph one of the most outstanding publications that the International Society of Hyper tension has sponsored. Satellite symposia such as the present one serve useful and important functions for our society. They provide a mechanism of getting together the outstanding experts on special subjects for presentation of new data and for a free interchange of ideas. This type of endeavor is one of the most uniquely effective ways of accumulating new knowledge, because the data presented are subjected to critical review and discussion. No textbook or publication in journals can provide the type of critically evaluated information that comes from a small group is a mechanism for scientists to become meeting of this type. Furthermore, it acquainted or better acquainted with one another. All of this is, of course, very provocative and supportive of high quality research, one of the trademarks of the International Society of Hypertension. 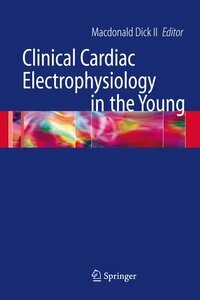 The conference for this book publication was organized by Drs. I. Transport Across Membranes and Hypertension.- Introduction: Membrane transport.- Biomembrane abnormalities in spontaneous hypertension.- Erythrocyte Na+ handling in rat genetic hypertension.- Ca2+ binding by the erythrocyte membrane and its structure in primary and secondary hypertension.- Calmodulin-dependent calcium transport in erythrocytes in primary hypertension.- The Na+/K+ co-transport system in erythrocytes from essential hypertensive patients.- Sodium, lithium and potassium co- and countertransport in erythrocytes and its relation to essential hypertension.- Familial aggregation of sodium countertransport and co-transport and essential hypertension.- Red cell sodium-lithium countertransport in hypertension.- Hypertension: multiple membrane malfunctions.- Preliminary analysis of sodium-lithium countertransport and blood pressure in Utah pedigrees.- Cation transport abnormalities in human and rat essential hypertension.- The sodium-lithium exchange mechanism in essential hypertension: is it a sodium/proton exchanger?.- Ouabain-sensitive and -insensitive cation transport in normotensives and hypertensives in hypokalemic states.- Presynaptic ?-autoreceptors: pharmacological properties and physiological function.- The effects of DIDS and anion substitution on aortic 36Cl turnover in aldosterone-induced hypertensive rats.- Function of the sodium pump in vascular smooth muscle in hypertension.- Evidence against raised intracellular sodium causing myogenic contraction in rat resistance vessels.- Role of an ouabain-like humoral agent and the sodium-potassium pump in low-renin hypertension.- An increase in a circulating inhibitor of Na+/K+-ATPase: the link between sodium and vascular tone in experimental and inherited hypertension?.- The role of sodium-calcium exchange in the genesis of essential hypertension.- II. Neural Control of Blood Pressure.- Introduction: Neural control.- Evidence for the participation of specific hypothalamic pathways in the pathogenesis of hypertension.- Neuropeptides in the central regulation of blood pressure.- The role of various afferents in the regulation of sympathetic tone in hypertension: a brief review.- Defects in signal generation in arterial baroreceptors.- Influence of sodium intake on the neurogenic contribution in hypertension.- Some aspects of cardiovascular nervous control in spontaneously hypertensive rats: central and peripheral mechanisms.- Pre- and postsynaptic receptors in hypertensive states.- Electrical events of vascular smooth muscle in response to ?1-adrenoceptor stimulation.- III. 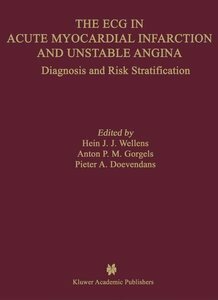 Recent Advances in Research on Renin System.- Studies of renin biosynthesis and release.- Molecular cloning of submaxillary renin cDNA.- Primary structure of mouse submaxillary gland renin.- Purification of prorenin.- Extrarenal renin-angiotensin system: comments on its occurrence and cardiovascular role.- Studies on the purification and characterization of human angiotensinogen.- Enzymatic studies with renin substrate.- The brain renin-angiotensin system: problems and answers.- IV. 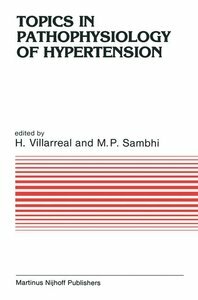 Renal, Adrenal and Central Hormones in Hypertension.- A bipolar analysis of blood pressure phenomena: the vasoconstriction and volume factors in normotension and in the spectrum of hypertensive disorders as revealed by renin-sodium profiling or pharmacologic probes: prorenin as a determinant of renin secretion.- Regulation of blood pressure by vasopressin.- The renomedullary interstitial cells in hypertension.- The pituitary and hypertension.- Stress, ACTH, and hypertension.- Mineralocorticoids in hypertension: 19-nor-corticosteroids in experimental and human hypertension.- Renal and CNS factors in NaCl-induced hypertension. 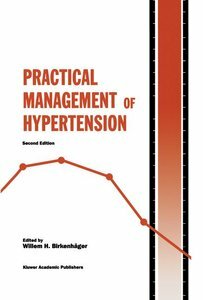 It is not often that one one writes the foreword for a book based on a conference which contributed so much to our knowledge in the field of hypertension. During my close association with the International Society of Hypertension from 1978-1982, numerous satellite symposia were held in connection with five internaÂ­ tional meetings. The specific topics addressed in this volume, the quality of the contributions, and the superb expertise of the contributors make this monograph one of the most outstanding publications that the International Society of HyperÂ­ tension has sponsored. Satellite symposia such as the present one serve useful and important functions for our society. They provide a mechanism of getting together the outstanding experts on special subjects for presentation of new data and for a free interchange of ideas. This type of endeavor is one of the most uniquely effective ways of accumulating new knowledge, because the data presented are subjected to critical review and discussion. No textbook or publication in journals can provide the type of critically evaluated information that comes from a small groupÂ­ is a mechanism for scientists to become meeting of this type. Furthermore, it acquainted or better acquainted with one another. All of this is, of course, very provocative and supportive of high quality research, one of the trademarks of the International Society of Hypertension. 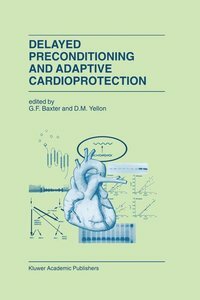 The conference for this book publication was organized by Drs.